TOBACCOVILLE, NC - There is a buzzing sound in the distant. Your mind's eye immediately generates pictures of various types of bees and insects, but then the sound gets louder and faster. You turn to see the what giant insect is coming toward you, but instead of an insect you see a blur of a small bird zipping in and out and coming within inches of your head. They are moving so fast and are so small that the only way our brains seem to lock in on them is when they hover for a moment. In that moment, when they are hovering in the sun, they are like a ruby and emerald armored bird. As the bird turns, backs up and moves in for the nectar within the flower, they flash with an iridescent beauty that only God could create. It is absolutely stunning! 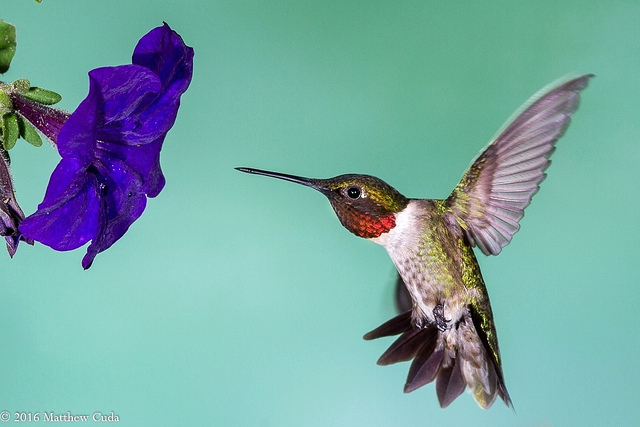 There are few people in the world, who can resist the awe inspiring sight of the hummingbird. Those who do not give heed to any other bird, will feed, video, photograph and gawk at this compact, light bending spectacle. 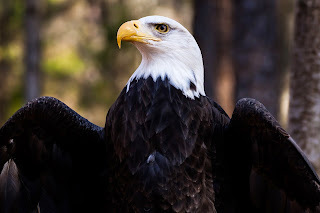 They are indeed the crown jewel of the birding world. For me my journey into the magical world of the hummingbird begins every May when I set out the hummingbird feeders and culminates in June with the Hummingbird Project. 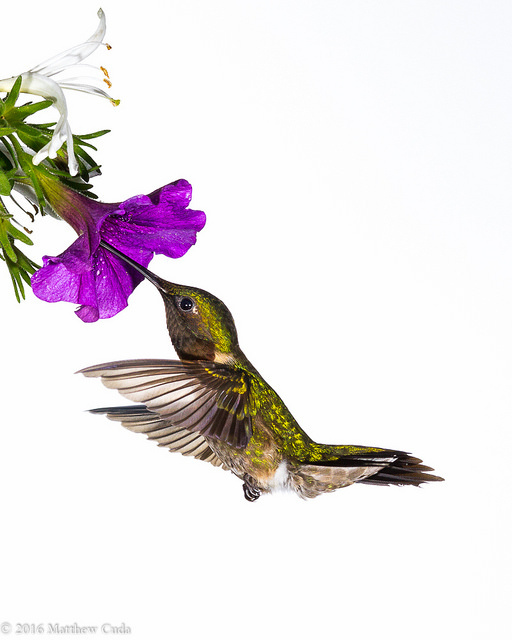 This project began three years ago, when I first began to photograph hummers, and to date I have ten images which I feel are worthy to share with others. The journey started with photography three years ago, but now I find that I tend to watch the birds much more closely than I used to. Instead of just looking for the great shot, I look at behavior as I try to sort out what makes these beauties tick. Just last night, as I was photographing the female ruby-throated, I observed some very fierce fighting. A rival hummingbird came in slowly and began hovering in large circles. No doubt, he was looking for other hummingbirds who may have claimed this area. Slowly, he moved in for the nectar. The next second or two were all but a blur as another male hummingbird zipped past my ear on a fast dive from a nearby fruit tree. He was moving at such a high rate of speed, that my mind/eye only saw a blur. The now feeding contender, simply moved backward and the dive bomber flew right past him and slammed into a piece of wood back behind the feeder. Evidently, the more experienced, feeding hummingbird saw him coming and acted with intelligence rather than raw power. The dive bomber was hurt and stunned. Hew flew in tight sloppy circles and eventually flew off. Now, you may think that it is just the males who fight and often that is the case, but the females will also go a round or two on occasion. This scenario is just one of many; for these little packages pack quite a punch. They are aggressive and will stop at nothing to push rival males out of their territory. Perhaps it is the fact that they are both beautiful and "deadly" that keeps me coming back for more. Whatever the reason these birds have captured my heart and I greatly look forward to each spring and their return to North Carolina. The hummingbird project continues. I am just finishing up my second season of "The Joy Of Painting" by Bob Ross. For those who don't know much about Bob, he was a painter who lived in the latter 20th century and was known for his gentle nature and "simple" wet on wet painting technique. He was often quoted as saying, "you can do this!" The fact is most people completely tuned out what he said moments later, and rushed out and bought his latest painting kit in hopes of becoming the next great painter. What he said moments later is that you must practice these techniques, and when you learn those techniques, you can apply them and great wonderful paintings. I believe, in essence, he was correct on both accounts. I think in many ways photography is the same way. 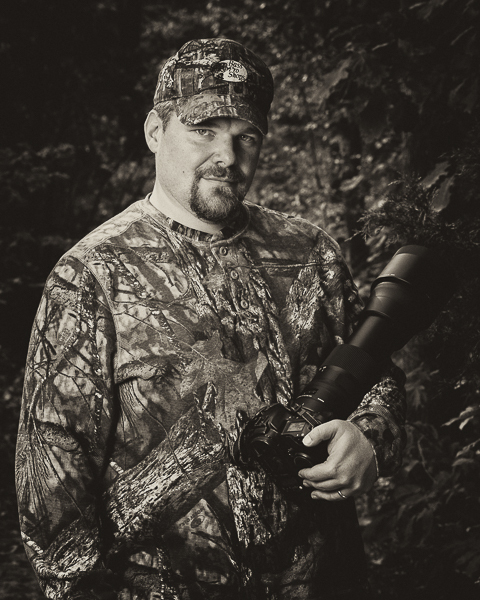 The beginner often looks at great wildlife photographers like Art Morris and Moose Peterson, and truly believe they can run right out and create beautiful images. In fact they are right, but the timetable to get there is all wrong! Look back over your life. Did you do anything that didn't take some practice? Swimming, biking, basketball and soccer took years of your time before you really began to grasp the finer points. Why then do so many think photography is different? I think the answer is this: everyone has a camera, and so everyone thinks they can make great images. In the back of their mind they are equating a snapshot of the family dog with a shot of an eagle snatching a fish from the water. The two, of course, are very different indeed. The other huge mistake people make is equating equipment to great images. Although it is true that cameras and lenses do play a major role in creating great images, only practice and patience combined with gear will make you a better photographer. I can't begin to tell you how many times someone has said, "wow, you must have a nice camera to make that image." Well, actually it is a fairly nice camera, but it is about 9 years old and way off the current specs. The camera is only about half the equation. The other half is YOU! In conclusion, let's use our painting analogy one more time. If I were to go out and buy the whole Bob Ross kit, with all the accessories and play his DVD in the background, do you think I could create his painting? Well, the answer is yes and no. My first attempt would no doubt fall flat, but as I kept going and practicing, my chances of making it to his level increase day by day. The same is true of photography. You will never get good, by sitting on the couch and watching videos of how to be a great photographer. The only way is to get out there at least several times a month and make it happen. Get out there and do it! Practice, practice, practice! !